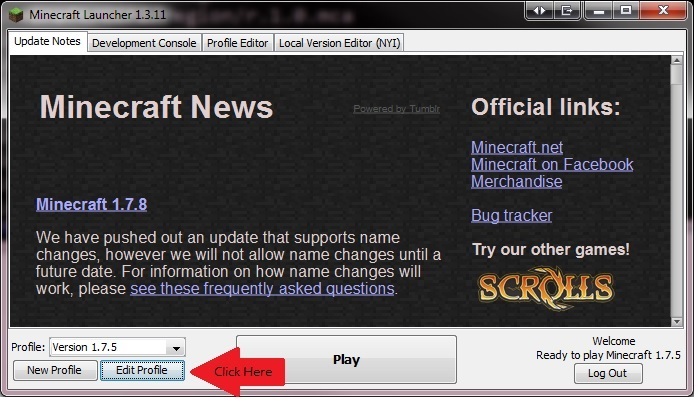 At the moment as all our plugins have not yet been updated to work with the 1.7.9 update, PLEASE DO NOT UPGRADE YOUR Minecraft game. We are reviewing all of our plugins to determine whether to find alternates or wait for the authors to upgrade them. You may change the name to anything you’d like. 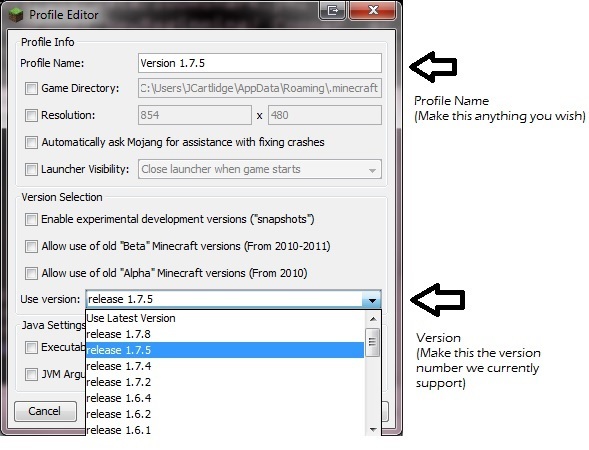 Ensure the version you select is 1.7.5 or earlier until we update our plugins.